The Elder Scrolls IV: Oblivion: many weeks of fun were had with this game when I first bought it for the PC a few years back. 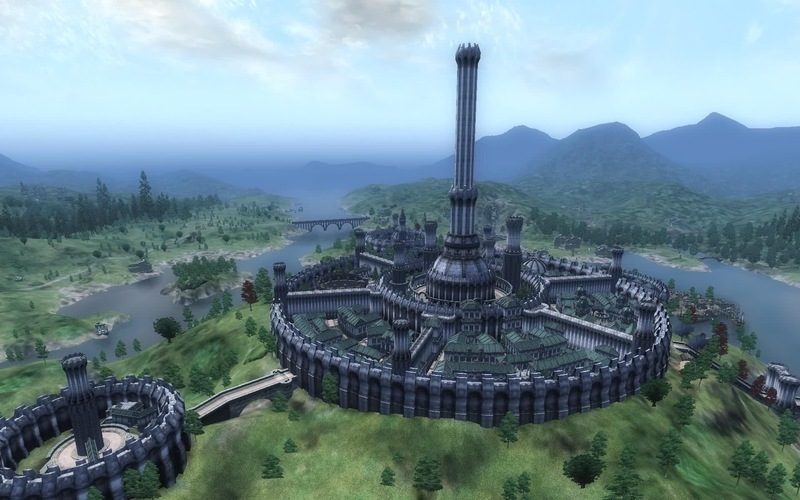 I spent most of my initial time in Cyrodiil trying to stop the Daedric Lord Mehrunes Dagon from invading and conquering the world (the game’s Main Quest) and also investigating and advancing through the Mages Guild’s quests. At that time, I didn’t do a ton of side quests but I did close quite a few Oblivion Gates…. and go into nearly every cave, hole, Ayleid ruin, and dungeon that I came across. It was an enjoyable time with the game. Fast forward to mid-May 2015. School is over until early June, work is coming out of a months-long slow down, and I am still on a mini-break – due to Finals – from playing World of Warcraft. In need of something to balance my time spent reading, working, or walking/wandering the neighborhood to break the restlessness, I decided to go back to Oblivion, starting from the beginning. I am playing as a custom Class: focus is on Marksmanship, Stealth (Sneak/Security), and a Mage set mainly with Destruction, Illusion (for Night-Eye), Alteration (for the Shields), and Mysticism (for Soul Trap) spells, plus a few Restoration spells. I’d rather sneak up on something with an enchanted and poisoned Bow, pop it with a couple of arrows, and, if it hasn’t gotten the hint to die, light it up with arrows and spells while backpedaling…. which leads me to a dilemma. I am current an Apprentice in the Mages Guild but I want to join another: either the Dark Brotherhood or the Thieves Guild. On one hand, I could sneak around the Imperial City and parts beyond, swiping this and stealing that. I could go on a bit of espionage for the Grey Fox, the mythical(?) leader of the Guild, making the lives of the City Guard miserable (which I am not entirely opposed to). There are a couple of good pieces of gear that I could pick up from doing TG quests, along with the ability to sell any stolen loot through my travels to guild Fences. Also, if I get in trouble with the City Watch, I can pay only half of my bounty to a Doyen. Tempting offers. On the other hand, putting an arrow between the shoulder blades of an occasional non-Necromancer or Conjurer isn’t a bad idea… if that person deserved it, like the target of the initial DB quest, Rufio (if you talk to him before gutting him, he “explains” why he is being targeted). You don’t have special people to go to get rid of bounties or sell back stolen items to (until you reach the very end) but you do have access to someone with a special selection of magical items and spells (what those are, I don’t know yet- I only tried the initial quest). You get an enchanted set of armor right out of the gate, with enchantments to nearly every stat that I would use with my character type. You also get a ton of enchanted/rare weapons and items, seemingly more than the Thieves Guild offers… including a horse. There is the problem of “We worship the Dread Lord Sithis and the Night Mother”, though; I don’t know if I would the stigma of “evil cult member” attached to my character. Soooo, I have a not-crucial decision to make in the next few days. Do I work for the Grey Fox and the Thieves Guild, with their Fences and Doyers? Do I join the Night Mother and the Dark Brotherhood, with their items and spells? Whatever the case, I am going to really enjoy getting deeper into, and hopefully finishing, Oblivion this time around!